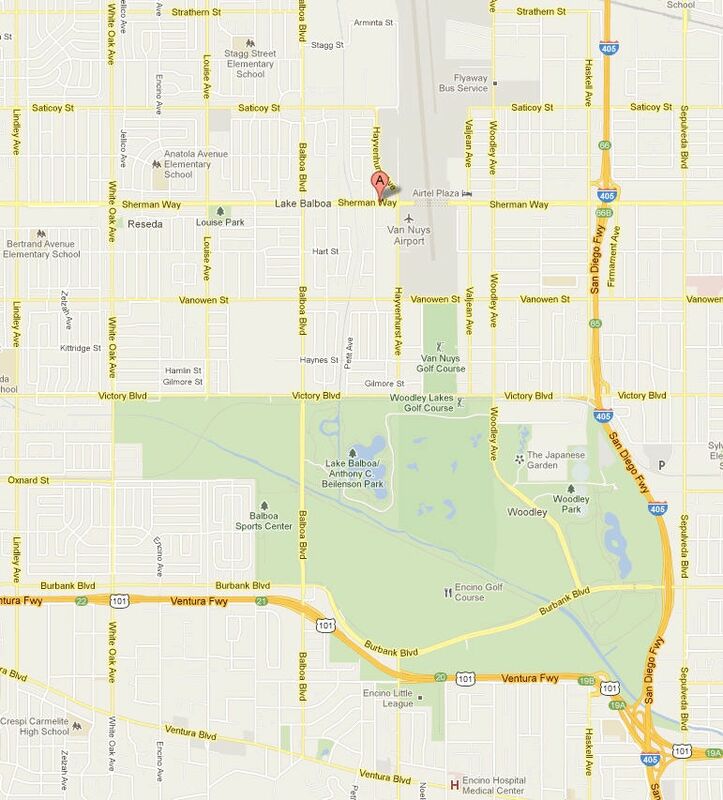 Here is a map to our monthly meeting location in a nice private meeting room inside Denny&apos;s at 16575 Sherman Way in Van Nuys. The location is centrally located in the San Fernando Valley of Los Angeles not far West of the Van Nuys Airport on the North side of Sherman Way. Close to both the 405 and 101 freeways.